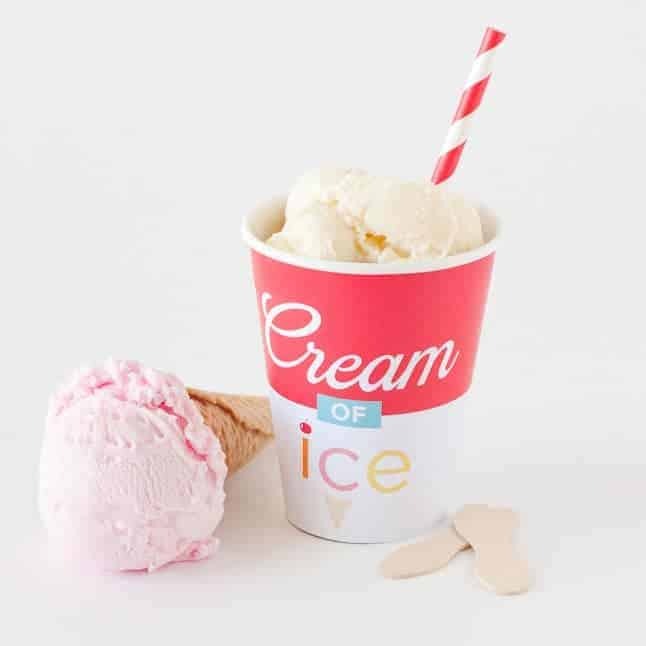 Party Favors: Use as labels for ice cream cups by attaching to pint-sized ice cream cups and gifting as party favors. 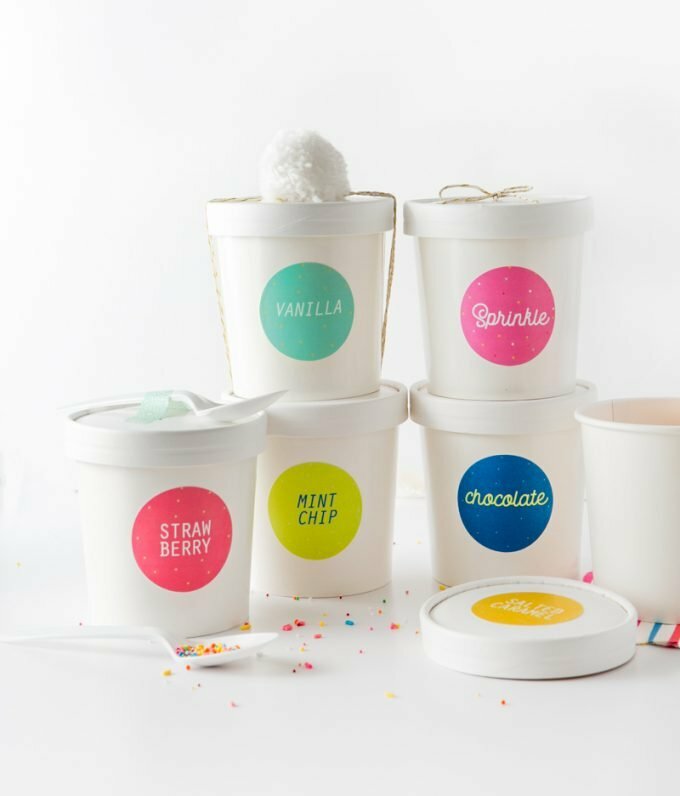 Teacher Gifts: Gifting homemade ice cream or deconstructed cake (i.e. 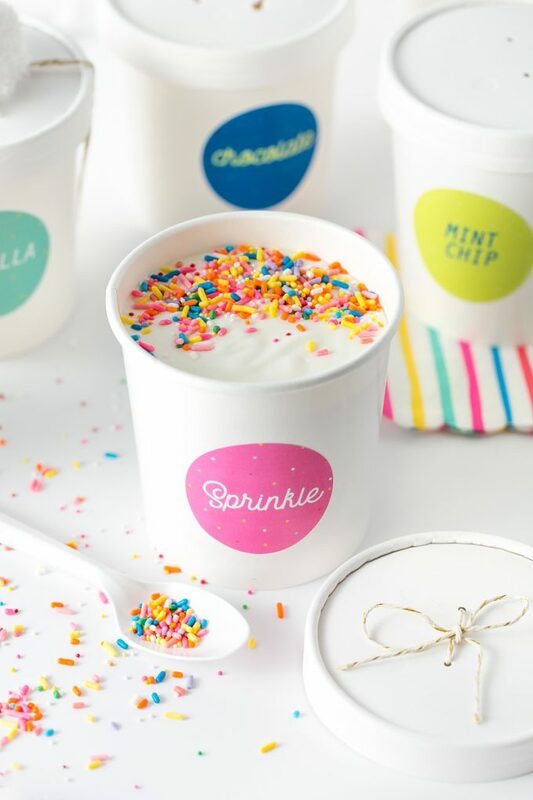 layers of cake & frosting) in paper ice cream cups, placing in a cooler, and taking to the school for back to school or end of school teacher gifts or teacher appreciation day. 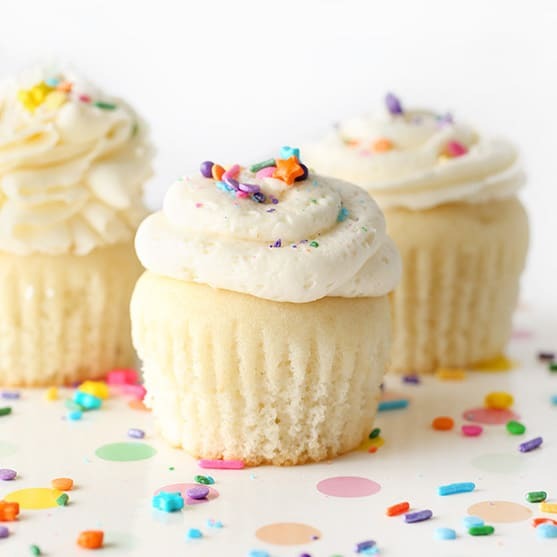 Cupcake Toppers: Print on cardstock, attach to a toothpick, and cupcake topper flavor indicators. 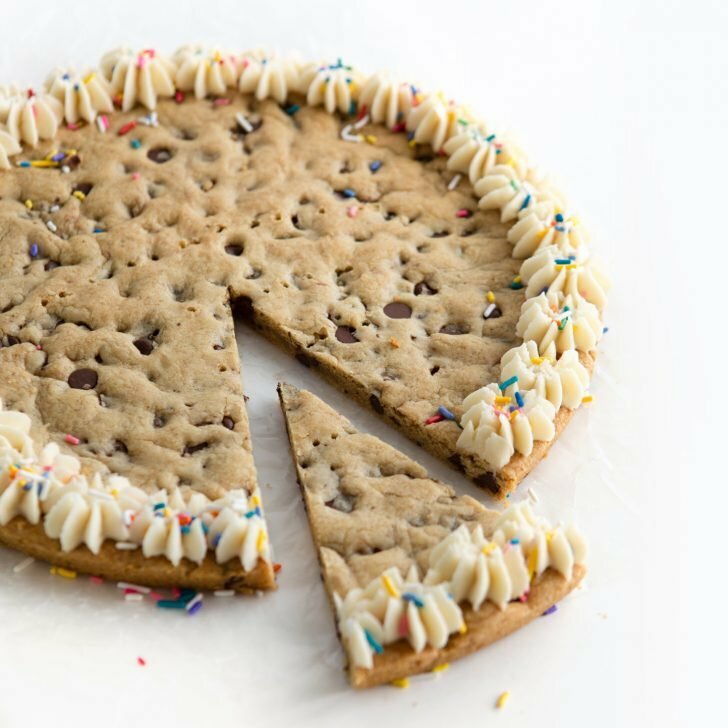 Cookie Packaging: Place cookies in plastic bag and attach a label to indicate flavors. 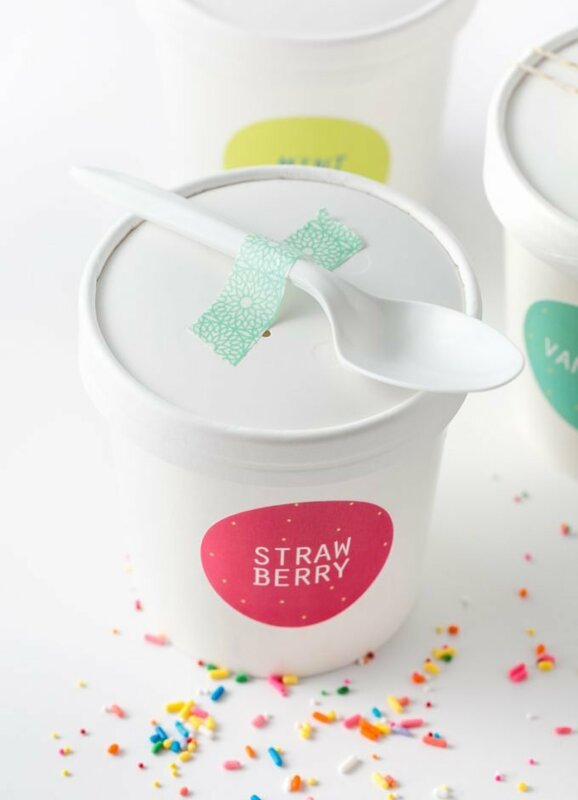 Label for Ice Cream Bar: Print on cardstock, attach to wooden skewers, then poke in each tub of ice cream to indicate the flavor. 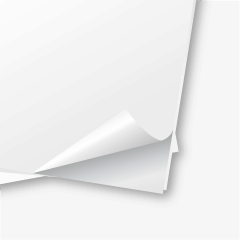 Bonus: find the Avery template here – this file has the 6 shown here & 6 blank ones where you can input your own text. 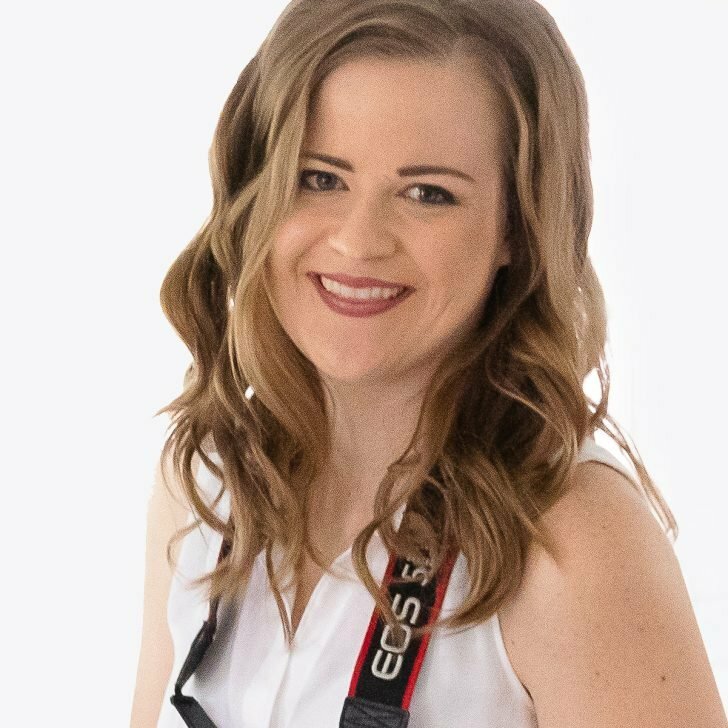 Simply copy/paste the design you need to fill the sheet. 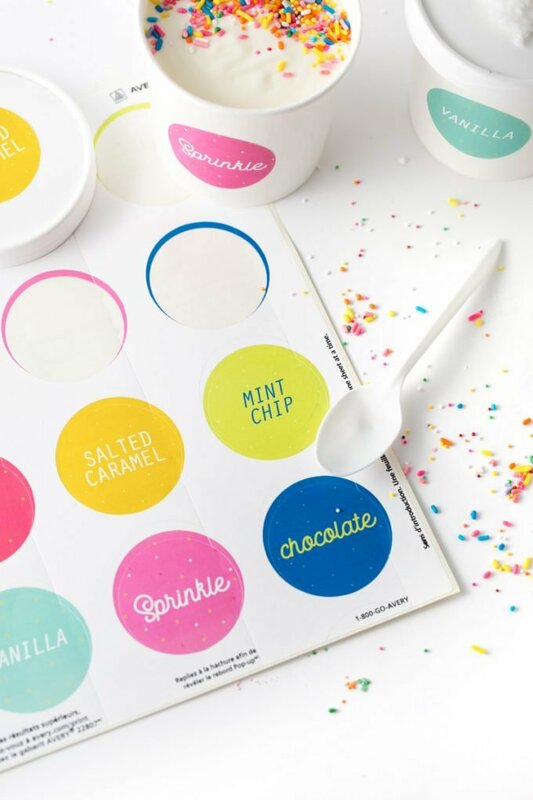 Print the printable ice cream labels template on 8.5 x 11″ white sticker paper, pre-cut sticker circles (I used Avery 2″ circle stickers), or plain cardstock (if you just want to apply your own adhesive). 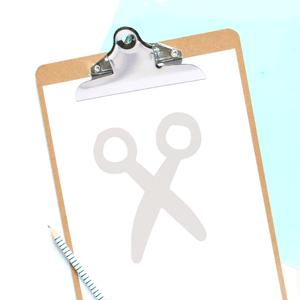 Peel or cut off of sheet then attach them to the sides or lids of the paper cups. 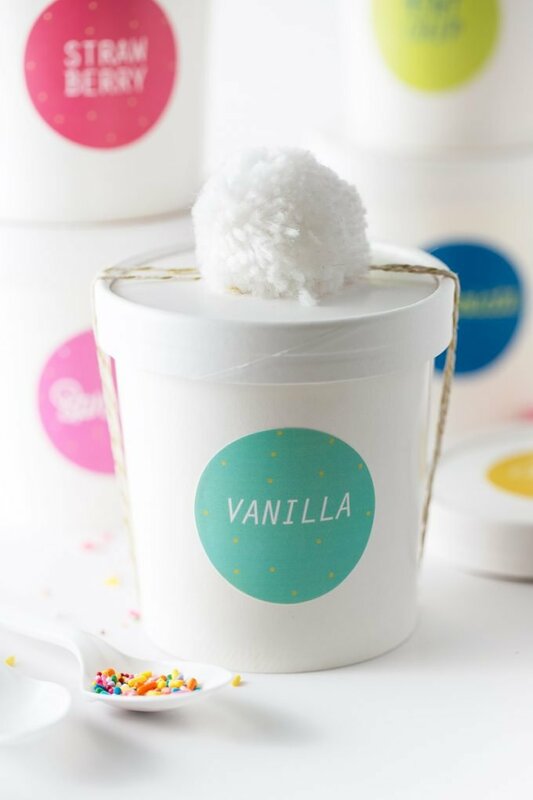 Fill paper cups with layers of cake and frosting, cupcakes, cookies, or homemade ice cream (if they have a freezer on hand) and then slap on these colorful labels for an easy homemade gift! 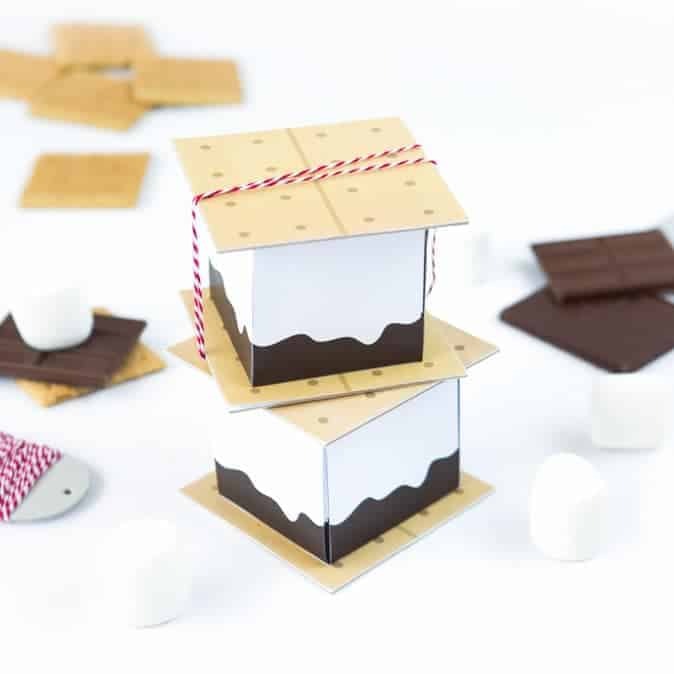 Or, just print the labels on card stock, attach a toothpick, and use them as flavor cupcake toppers at parties. 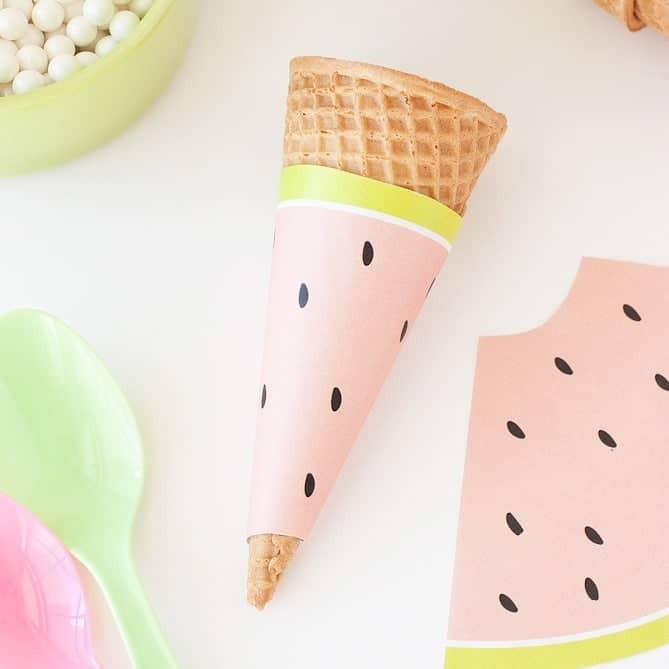 What should I fill these ice cream cups with? 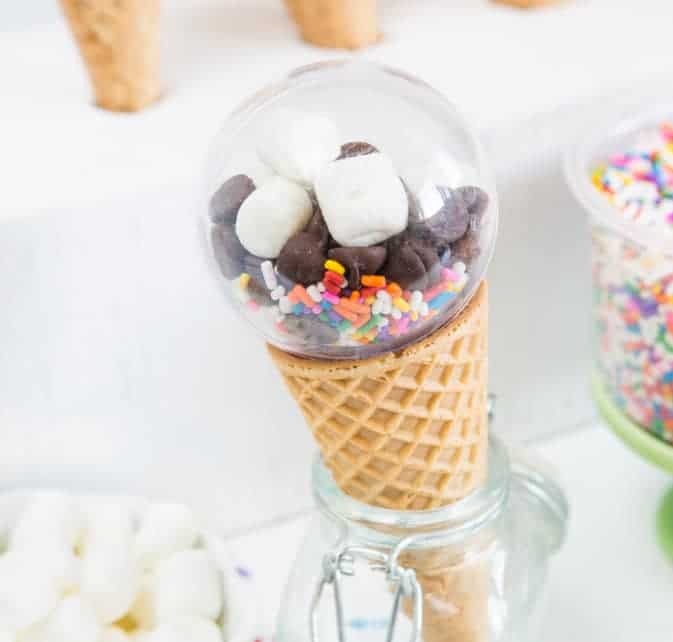 I like filling these with homemade no churn chocolate ice cream (fill the cups before freezing) OR for a no-melt gift option, layer with your favorite cake and frosting. 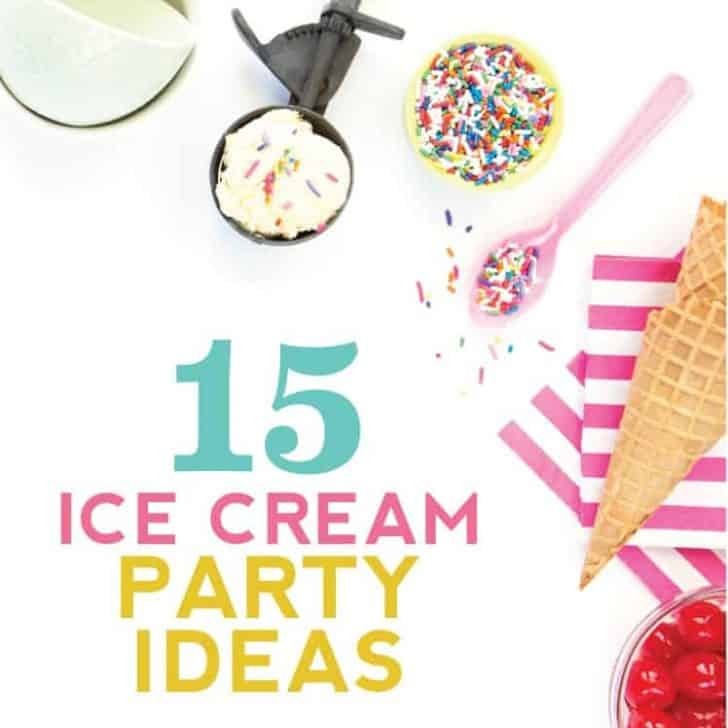 To do so, bake cake in a 9×13 pan, cut into 1″ squares then layer in paper ice cream cups. 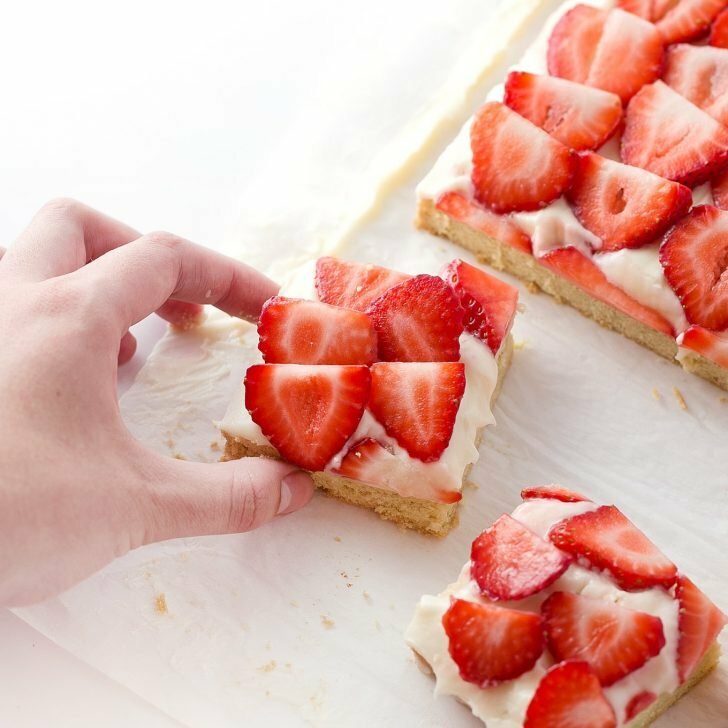 My favorite cake recipe is this white wedding cake with cream cheese frosting. 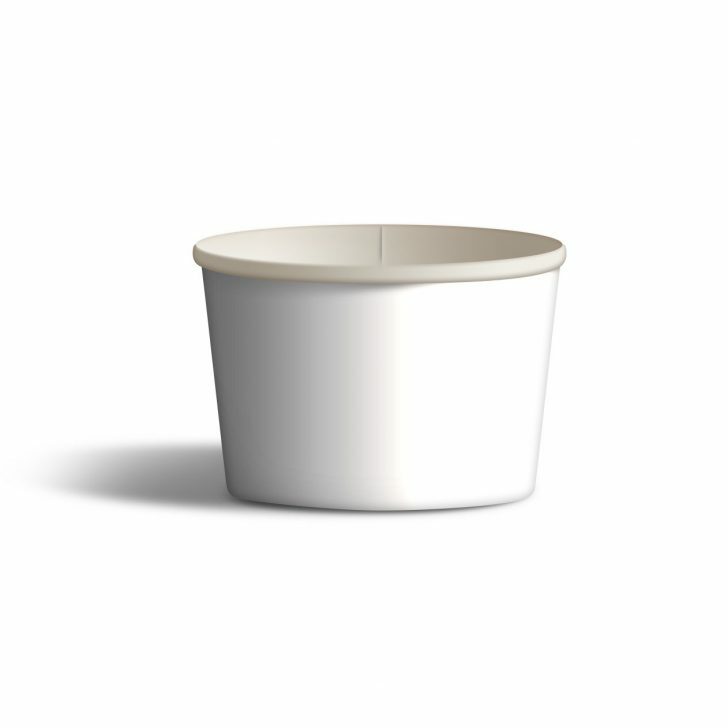 You can also fill with small cookies, almost like a mini fair cookie bucket! Some great cookies that would well to gift would be my chocolate chip oatmeal cookies or animal cookie wafers. 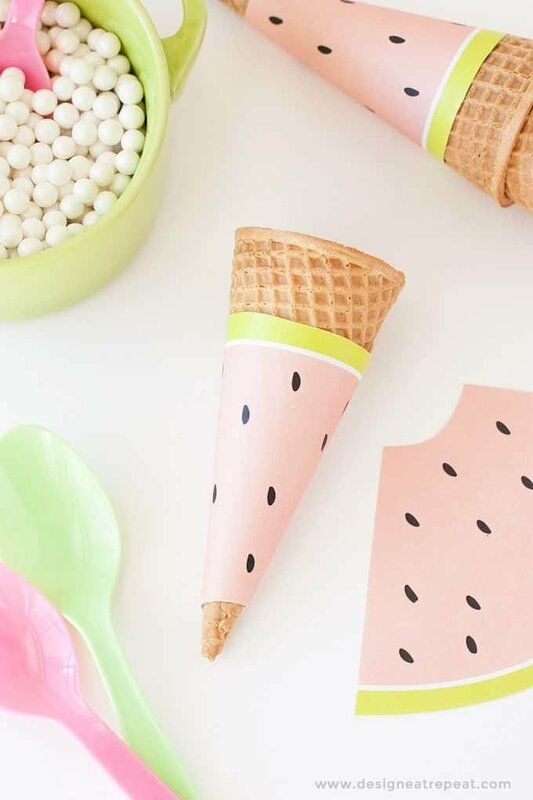 Where can I buy ice cream cups? 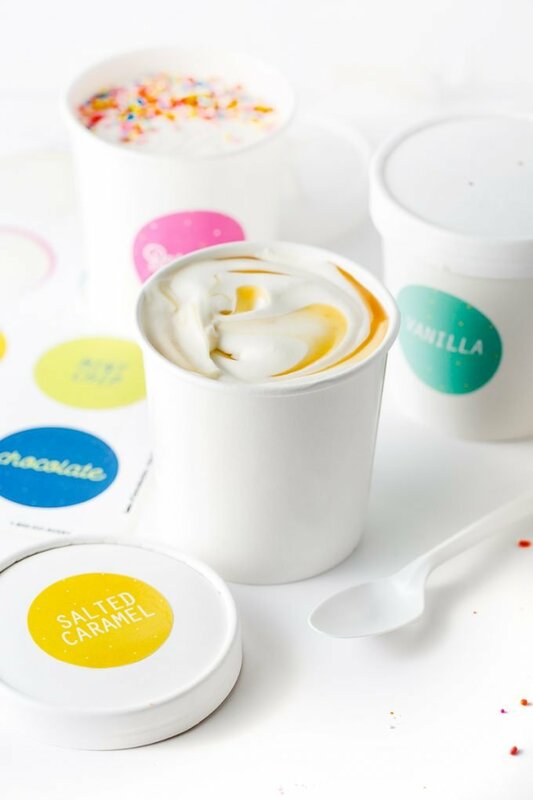 You can find paper pint-sized ice cream cups on Amazon here. 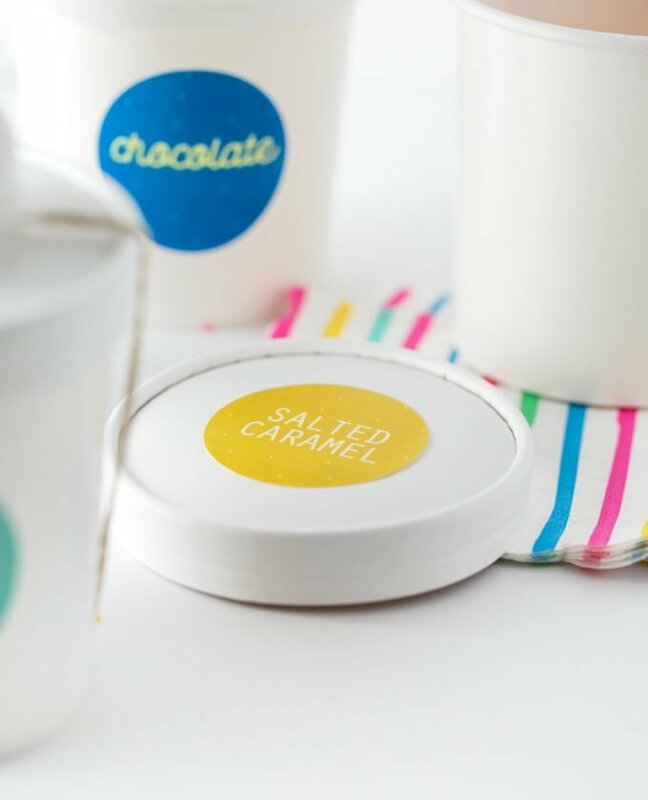 How to Gift Ice Cream Containers? Wrap with baker’s twine and attach a printable gift tag. 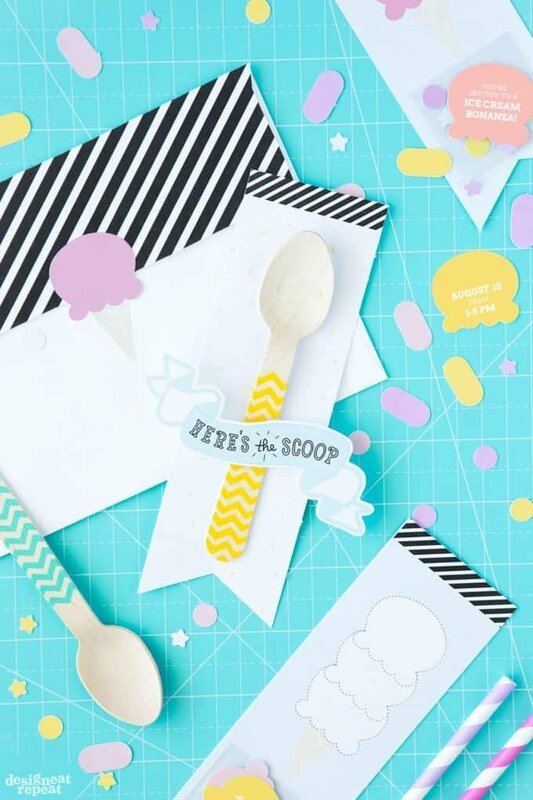 Use washi tape to attach a plastic spoon or fork. Use baker’s twine to attach a pom pom on top.